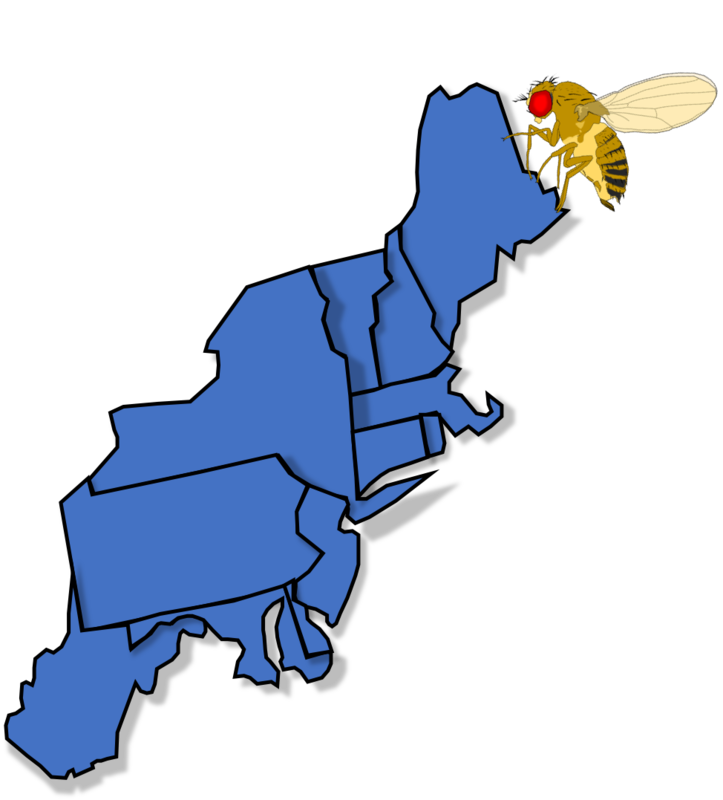 The spotted wing drosophila (SWD), Drosophila suzukii, emerged in 2008 as a severe insect pest of small fruits in North America. These flies are native to parts of Southeast Asia and infest several crops, including blueberry, raspberry, blackberry, cherry, and strawberry. Unlike other non-SWD Drosophila flies that lay eggs primarily on decaying and rotten fruit, SWD attack only blushing and ripening fruit leaving fresh, intact fruit susceptible to SWD infestation. Presently the only viable tool to control SWD populations is frequent applications of chemical insecticides, although scientists and growers continue to seek alternatives such as biological control. These insecticides are not effective against the developing larvae as they are protected inside the fruit. Growers cannot time insecticide sprays with adult movement because the commercially available traps rely on non-specific volatile blends that attract large numbers of non-target insects.